New Promo Video For Indiana Jones MythBusters Special. 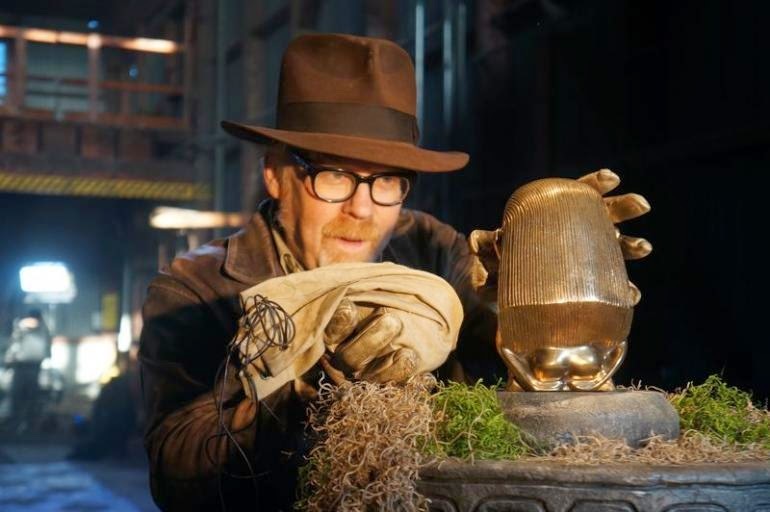 “MythBusters”go all Indiana Jones as Adam Savage and Jamie Hyneman will be taking on another “Indiana Jones”-themed mission during episode 2 of the show’s 2015 instalment when the Discovery Channel twosome tackles a few of the "legendary hijinks" from the franchise. To celebrate here's a promo of the very episode where they re-enact a famous scene from Raiders of the Lost Ark.